Wow, it is a TRIPLE bloom day! 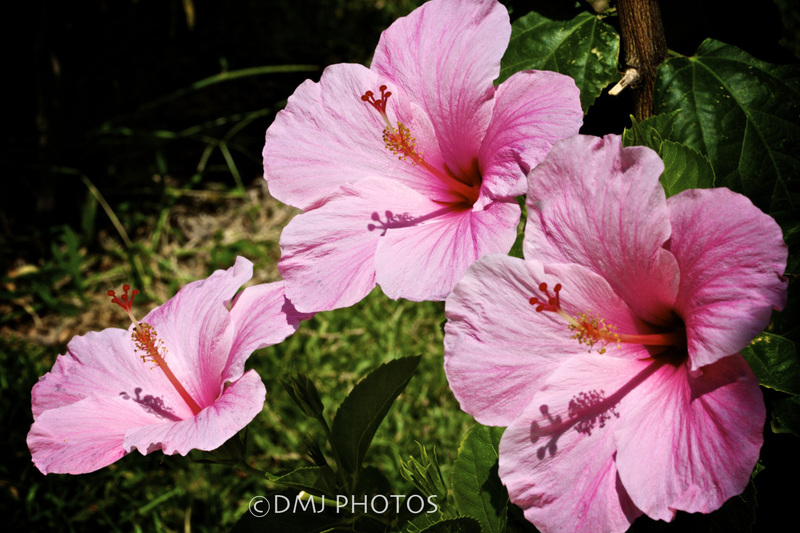 Three beautiful pink hibiscus flowers greeted me this morning 🙂 – from just the one plant! I’m in heaven as I stare at these beauties 🙂 that will only survive the day. The icing on the cake for me today was that I found my first mango of the season on my walk this morning. It was small – a ‘preemie’ I think, but I enjoyed it in my smoothie nonetheless. Awesome, beautiful, sunny day in Coronado, Panama :-)! This entry was posted in Uncategorized and tagged 365 Day Photo Challenge, Coronado, Denise MacDonald, DMJ Photos, Panama, Photo Challenge, postaday, tropical hibiscus. Bookmark the permalink.